This registration is ONLY for the Host Families so we can track who will attend. Note: we will be car pooling the mine and meeting at noon in the parking lot for lunch. Today we will take the Ambassadors to Auburn and Grass Valley for a little tour of the old town in the morning. 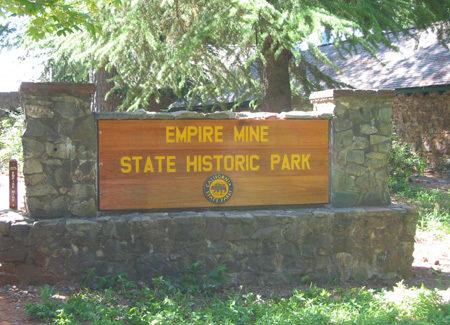 We'll stop in Nevada City to pickup Pasties and then have a picnic lunch at the Empire Mine State Historic Park. After lunch we'll have a guided tour of the Empire Mine including the Mine Yard, the old offices and the lovely Cottage and grounds. The tour will be about 1 1/2 to 2 hours. The late afternoon will be free to explore the area. Total price for the day including lunch and the tour will be $ 18 per person. We'll be car-pooling with information on where to meet provided later.